When the original Xbox was released it was an impressive machine with a very strong core but it still didn’t stand a chance against the Playstation 2. But when the mod chips where released it changed everything about the Xbox. Thanks to the mod chips that unlocked the Xbox and made it possible to create any software you wanted for it it changed from a console with a lacking game library to a supercharged multimedia center and emulator monster! When a chip was installed in the Xbox you could install XBMC that could stream all your music and moves from your network. You could install linux and run it as a sever. 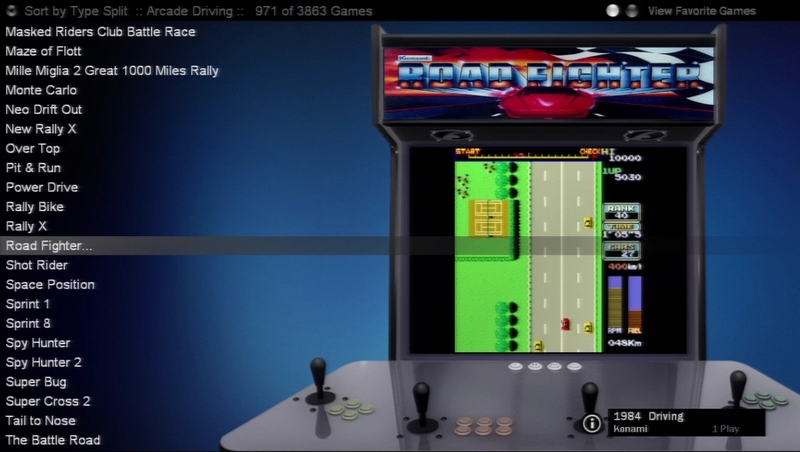 Or you could install the many amazing homebrew games and emulator ports to play all your favorite retrogames. I love retrogames and collect games and systems but I also love emulators and the Xbox has the best emulators and gamelaunchers for this! 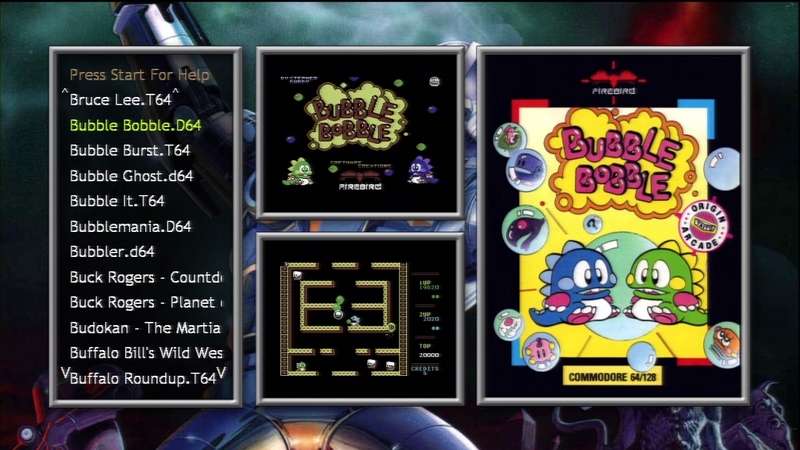 The retrogaming community has created some amazing applications for the Xbox where you have the entire library of retrogames complete with screenshots, movie previews, boxarts, manuals etc. Smart options where you can filter your games to find a certain genre or filter games after number of players etc. They are all pre-configured with the four gamepad slots on the Xbox so there is no need to configure anything, just connect your gamepads and start playing! I just got my fourth Xbox recently and decided to make this the ultimate Xbox. I wanted to install a big harddrive and install the latest and best emulators out there. 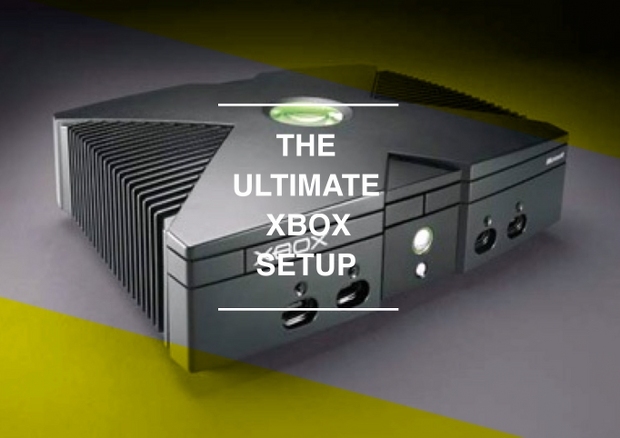 I’m going to walk through all the steps of the progress and what software I installed to create the ultimate Xbox setup. The original Xbox HDD only has an 8 Gig HDD, thats not much. But its possible to have your favorite emulators on this space. But its only the essentials, just roms not fancy stuff like screenshots, video previews etc. So its recommended to get an Xbox with a 120 Gig HDD or more to have room for all the cool stuff. They latest Xbox i got only had an original HDD so i decieded to take one of my old 200 Gig IDE HDD:s and install it. I followed this guide on youtube that described how to clone the original hdd to the new hdd. And it worked great. When i connected the new 200 Gig HDD it looked and worked just as the 8 Gig HDD that i just had disconnected but with much more space. There are many launchers for the Xbox, most often a modded Xbox comes with the “Avalaunch” that is a dashboard replacement that can launch other software from the Xbox. Its very simple and ugly so the first step is to install the latest version of XBMC. XBMC is a gorgeous mediacenter for the xbox that can play media locally from the HDD or stream it from your network. It has support for 720 and looks amazing! It also works as a software launcher so you can run all your emulators and games from there. And it always runs an FTP server in the background which means that you can copy all the applications and games from your pc when XBMC is running. When XBMC is installed i always make this my default dashboard, so when i start my Xbox it automatically starts XBMC as default. There are many guides on how to do this. Its really worth it! Check if a new version of XBMC4Xbox is released on the official site: http://www.xbmc4xbox.org.uk/ and then you can download the installation from http://www.theisozone.com or google for it. 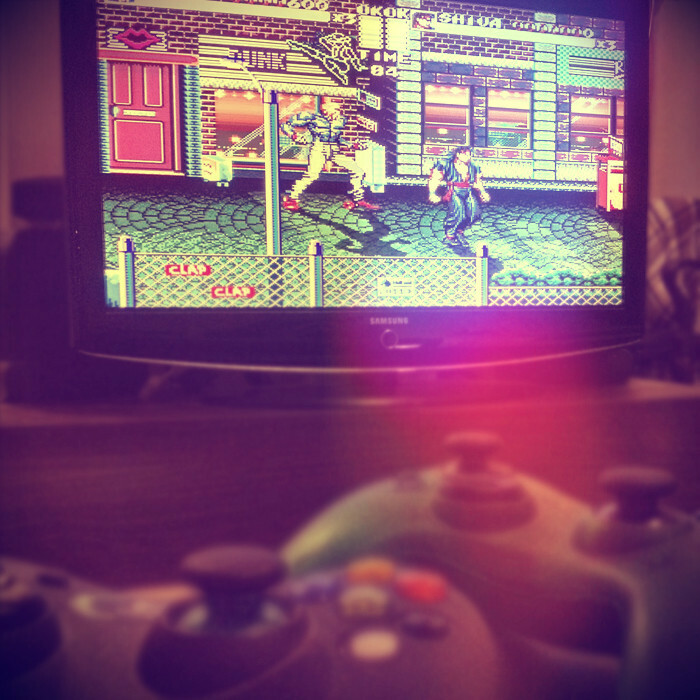 The emulator and gamelauncher “CoinOps” is really amazing. As im writing this the latest version is CoinOps 5, and this version has support for 40 different gamingsystems and has support for 22,000 games! You can download and install the complete CoinOps 5 release that has over 3800 games installed all with movie previews. In the launcher you can filter the list in many ways to find the games you are looking for and with a press of a button you can add the games you like to your “favorites”. The strength of the CoinOps launcher is that its so easy and fast to play games, they are all pre-configured with your gamepad, all you need to do is press a button and it starts. Just like a real coin operated game in the Arcades. But this is also its weakness, there is essentially no options. You cant configure anything, It has very bad support for gamestates etc. And if you want to play an rpg game where you want more control, better savestate support etc then CopinOps is not the best option. Therefore you need a better emulator for this, and that what im going to talk about next. 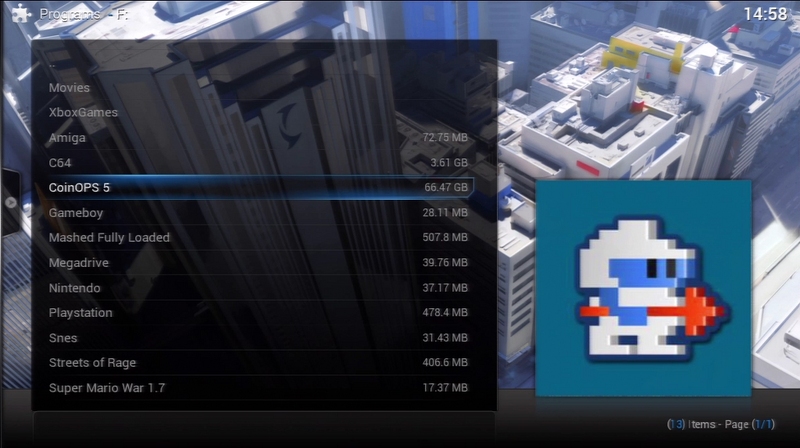 The Xport emulators is a lot of emulators created for the Xbox. Each Xport version is an emulator for a singel system and when you launch that emulator you have total control over how you want to to work! Everything works great from the start but you can change stuff as you please. You can reconfigure the controllers. Cnange the screen resolution and size. Apply filter effects. And you have great control over the savestates with many saveslots and small screenshot previews etc. The Xbox has Component out support. This means that if you tv has a Component input you could get a 720 HD resolution with your Xbox and this is really recommended! A Component cable for the Xbox costs about $10 on eBay. All emulators i have mentioned above has support for the component cable and some original Xbox titles as well. If you are having problems with enabling the 720 resolution then you might need to change the region on the Xbox which is very easy using Enigmah, i wrote a tutorial for this here. So this i what you need to do. The Xbox actually rips the music from an audio cd to the Xbox HDD, so you need an Audio Cd. Start the Xbox so it starts the beautiful green dashboard and then insert the audio cd. The music player in the dashboard should start. After this you can with a button press go into the menu where you can choose to copy music to the hard drive. Select all or pick your favorites. The cool thing is that you can create folders of music, think of it as mixed-tapes. You can create different mixed-tapes with music that you rip from different audio cd:s. When the coping process is done you can remove the audio cd and try a game that has support for the feature! Here is a list of all games that are compatible with this soundtrack feature that i found on the Iso Zone compiled by patrick005. 62. MTV Music Generator 3: This is the Remix! Posted on August 4, 2012 by Thermoptic Tagged guidepartyrecensionretrospelxbox	CommentsNo Comments on Mashed – Det ultimata party spelet! Mashed – Det ultimata party spelet! Jag har nog aldrig haft så kul och skrattat så mycket med ett tv-spel som jag gjort med Mashed! Ingredienserna är ett gäng bilar på en bana med en väldigt simpel kontroll och resultatet blir galna och kaotiska spelomgångar så får dig att skratta. Vem som helst kan sätta sig framför Mashed, lära sig spelet på några sekunder och sen sitta och njuta! Mashed påminner väldigt mycket om Micro Machines med den klassiska regeln att den spelare som hamnar för långt bak elimineras och får minuspoäng. Den spelare som klarar sig längst vinner och får då pluspoäng. Den som lyckas få 10 poäng först vinner matchen. Och det hela blir väldigt mycket roligare då det finns en mängd roliga vapen att plocka upp på banorna. Och som sagt är Mashed väldigt lätt att lära sig, En knapp för att gasa och en för att använda vapen. Mashed är ett party spel! För det fösta så är inte Mashed kul om man är mindre än 4 spelare. Så för att spelet verkligen skall bli skoj och innehålla det där kaotiska och galna situationerna som gör Mashed så bra så skall man vara 4 spelare! Börja med att låsa upp allt! Obs: När jag slår in denna koden på ett original Xbox så gör jag det med det digitala styrkorset. Men spelas det på en Xbox 360 så funkade koden mycket bättre att aktivera med den analoga styrspaken. Efter att koden är aktiverad så rekommenderar jag att man går in på options och sparar spelet så man slipper slå in koden varje gång! För att göra spelet ännu roligare så har vi alltid aktiverat “Airstrike” vilket gör att spelar som har eliminerats under ett race får möjligheten att styra att sikte på skärmen. Lyckas denna spelare hålla kvar siktet på en bil i två sekunder så kan han avfyra en raket som flyner ner och träffar en utav bilarna. Detta kan skapa väldigt roliga situationer! Och det är även väldigt smart då spelare som åkt ut fortfarande kan vara med och spela. Då Xbox 360 till viss del är bakåtkompatibel med gamla original Xbox:en så går det faktiskt att spela Mashed till 360:n! Men det gäller att vara vaksam för det finns nämnligen två versioner av Mashed! År 2004 släpptes Mashed för första gången med undertiteln “Drive to survive” med ett svart omslag. Denna versionen funkar INTE på en Xbox 360. Den versionen ni skall skaffa är den nyare och updaterade versionen som släpptes 2005 som heter Mashed “Fully Loaded” med ett vitt omslag. Det är i princip samma spel fast med updaterad Grafik, nya banor och bilar, bättre kontroll mm. Så med andra ord skaffa “Fully loaded” för att få den bästa versionen av Mashed. Som även då funkar på en Xbox 360. Observera att du kanske måste vara uppkopplad till Xbox Live för att en patch skall laddas för att Mashed skall funka. Utvecklarna av Mashed skapade även en uppföljare som heter Wrecked som släpptes 2012. Vi har även spelat detta en hel del. Wrecked är väldigt bra och kul. Men det saknar många av dom sakerna vi älskade mest med Mashed. Så jag föredrar Mashed. 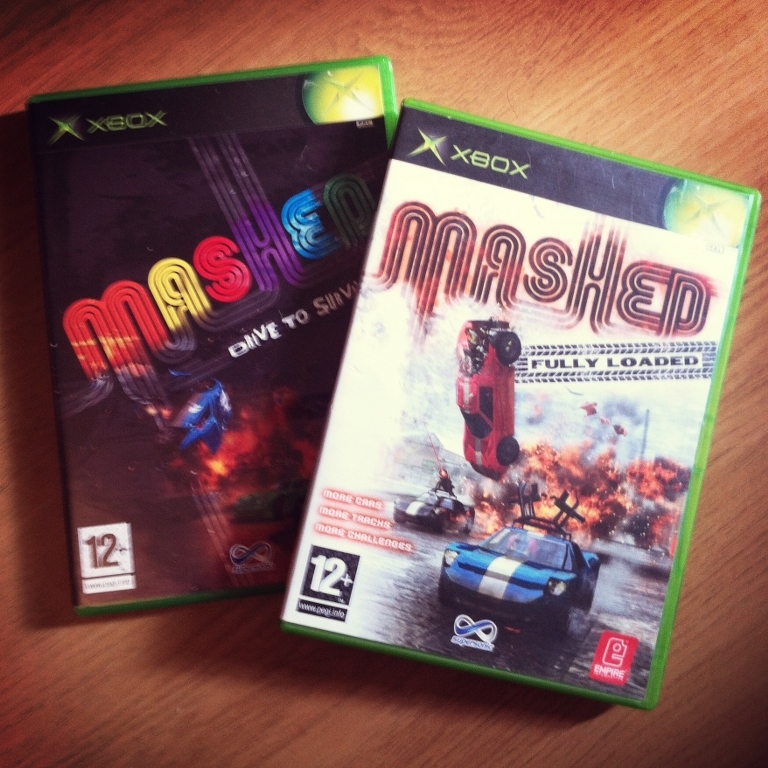 Mashed finns till Ps2, Xbox och PC. Själv spelar jag Xbox versionen då det från början finns 4 stycken portar på konsolen. Spelet kostar under 100kr på eBay så det är bara att köpa! The Creators of Mashed – one of the best party 4-player games ever created – has finally released its spiritual successor to Mashed. I have now had the time to play it and as a big fan of Mashed I was sadly disappointed on some of the parts. The creators of the team was asking the players to send them feedback and gameplay issues. So this is my mail to Supersonic Software. Keep reading to find out what i thought about Wrecked and what differed between it and Mashed. Hi! As a big Mashed fan i just wanted to share my thoughts about Wrecked, and what can be changed and improved. Me and my friends have played Mashed A LOT and we where really looking forward to Wrecked. We have discussed what we thought about Wrecked and what you could add/change to make it better.. or as we express it: Make it be more like Mashed. If we look at just Wrecked and forget about Mashed, then its a great game! Its really fun and there is not much you need to change in the game to make it better. Execept small bug fixes and maybe add more levels etc. 1. The Controls. We want the gamepad to have the same mapping as Mashed. Or at least the option to change the controls. Gas should be on the A button and use weapon on X etc (Xbox 360). Right now it works but as we have played hundreds of hours of Mashed we are used to our old controllers and we want it back in Wrecked! 2. Weapons. This was a disappointment in Wrecked. If you got the right weapon in Mashed this could be your key to victory. The Weapons in Mashed really did damage and your opponent knew that they could loose if you had.. say a Machinegun or a Missile. In Wrecked they weapons are weak and feel pretty useless. They don’t really harm or make the other players loose control. The Machinegun was feard in Mashed, in Wrecked it just tickle the opponents a little. When I play Wrecked i usually avoid picking up the machinegun. 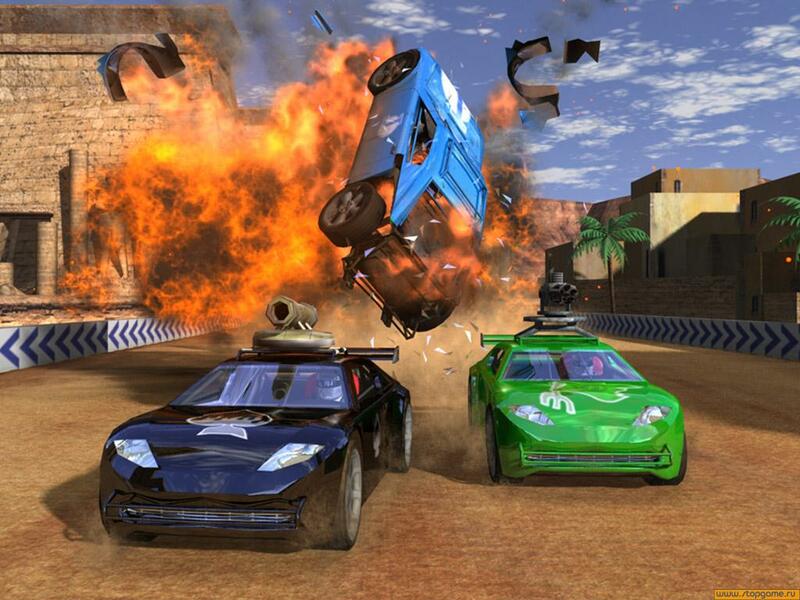 in Mashed the Missiles could throw the cars into the sky off the track, or crash them into the ground and get totaled. In Wrecked if you get hit by a missile you just do a little flip and then a second later you are back on the track. Weapons in Wrecked feels weak and useless. They need to be adjusted to be more like Mashed. 3. Physics. One of the most fun parts of Mashed is ramming your car into other opponents trying to get him out of the stage. Its great fun and it works so well! 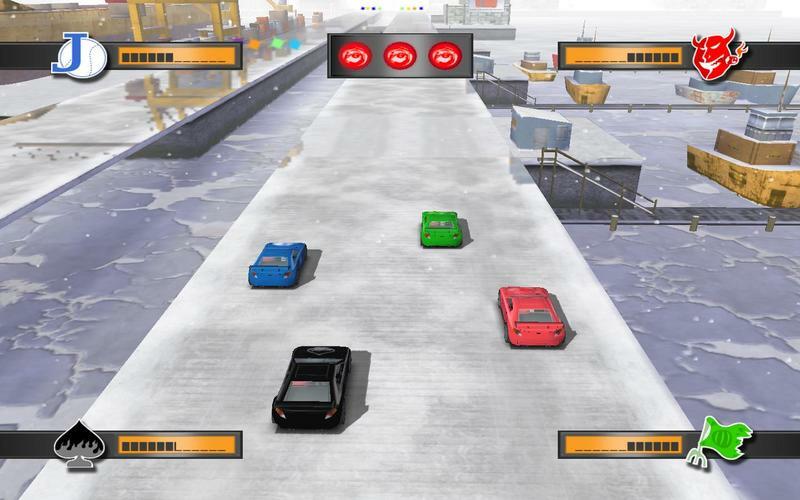 And Mashed has this align grid system so when you turn your car slightly to the left or right it automatically adjusts itself to drive in a strait line, which is very helpful on every ones favorite track Polar Wharf. Wrecked has lost all this. The car physics in Wrecked is really good, i love to drift in the corners. And that great feeling when i manage to get my car back on the track when almost falling of an edge, almost grinding in the edge of the track as an skateboard. Its great. But its no longer fun to crash into other cars as it was in Mashed. This needs to be adjusted. And also fix so the axis don’t get inverted when we drive backwards. One of the funniest moments in Mashed was when the car got pinned around 180 degrees and we instead just drove backwards. The cars should always drive in the same speed even if they are driving forwards or backwards. The only thing that should be changes is that its a little harder to turn in corners when you are driving backwards. Just like it is in Mashed. 4. Turbo Boost. 3. 2. 1. boost! This is how we started a race in Mashed. Please bring this back to Wrecked. The new Boost that you can use whenever you want in Wrecked is a fun addition, its perfect to use when trying to knock and opponent out. But we feel that it needs more options. Please fix so we can limit it, maybe only use it 5 time on a race. Fix so we can add a cooldown time. And please add an option to disable it. 5. The Cars. In mashed there where many different cars. The look of the cars are not important, its how they handled! Some cars where faster, some where slower. Some had better handling and some had better drafting. Wrecked only has one car, why? Please bring this back so we have more cars. or just the option the change the stats of the cars. 6. The Maps. You brought back Polar Wharf.. we thank you for this! But we want more of the levels from the old game. At least 5 of the best levels. Or just add some more levels for free. 7. The Camera. Please adjust the camera so it shows more of the screen. Its very zoomed in and we cant see what infront of us. Please at least add option to select angle with the select button like all other car games. My friends that are fans of Mashed are asking me if they should get Wrecked, right now im saying: no stick with Mashed. Friends that never have played the game before im saying: Get Mashed on eBay and play it on your original Xbox or Xbox 360 (thankfully its compatible with the 360). Its sad to say this but as fans of Mashed we are not satisfied with how Wrecked turned out. Please listen to the fans. The game you have created is good and fun! But please add this “Mashed Mode” Option for us Mashed fans and everyone will be happy! Första gången jag fick testa på ett rpg spel var under 16-bitars eran. Det var bland annat spel som Final fantasy VI och Chrono Trigger. Det var något helt nytt, en hel värld att utforska, varje stad hade ett eget namn och en story bakom sig. Varje karaktär i spelet var även helt unik med ett eget namn och en berättelse. För mig något helt nytt då jag bara var van vid diverse plattformspel som helt saknade en story som typ Super Mario Bros. När du spelade ett Mario spel så fick du inte vidare mycket beskrivet om vem Mario var, vad han hade för personlighet, om han var en spontan och humoristisk person eller kanske en oförsonlig och lättirriterad kotte? Ingen som vet. Och det är här ett Rpg spel skiljer sig. Utvecklarna berättar en saga för dig om en värld och beskriver på ett sätt så du förstår hur den ser ut och vad som händer där. Du får en känsla till karaktärerna och lär känna dom mer och mer. Vad är det jag vill komma med detta? Jo det är en liten sak jag stör mig på. Och det tänkte jag förklara nu. Samma gäller såklart med utseendet på karaktärer i ett spel. Detta är nästan ännu viktigare. Utvecklarna har arbetat länge med att skapa ett ansikte, kropp, klädstil mm som är kopplat till karaktärens personlighet. Och sen skall vi som spelare ändra om denna karaktärs utseende bara för att vi har valmöjligheten att göra det? Ta Mass Effect som ett exempel. Bioware skapade en protagonist, en man vid namnet John Shepard. Dom gav han ett ansikte, en röst och en personlighet kopplad till detta ansikte. Ni vet det där ansiktet ni ser på alla affischer, omslag, i alla trailers osv.. Det är Shepard! Och det är så Bioware som skapat spelet tänkt sig att han skall se ut. Bioware hade utvecklat ett program som dom använde för att generera fram ansikten och kroppar till Mass Effect karaktärer som man stöter på under spelets gång, och tyckte det var kul att ge spelarna tillgång till detta verktyg när du startar spelet för att du skulle ha möjligheten att skoja till det lite och göra din egen karaktär. Men jag ansåg att detta tog bort en viktig del av känslan i spelet och har valt att spela Shepard så som Bioware har tänkt honom. John Shepard, född på Jorden och han är en Man! Och därmed basta. En sak som också slog mig det är just att dessa spel kallas ”Rollspel” och hur definierar vi detta till de olika spelen som igår i denna genre? Vi tar ett par moderna spel i jämförelse för att sätta lite perspektiv på genren. Vi börjar med att ta en titt på Mass Effect igen, ett spel där utvecklarna har skapat en story åt oss, en karaktär som har ett förbestämt namn, utseende och stil. Vi kan inte bestämma över hans personlighet utan matas istället av scener där vi ser han pratar, rör sig och utstrålar sin personlighet för oss. Ja man skulle kunna säga att Mass Effect är som en film med ett manus i grunden som faktiskt ändå är ganska linjärt. Spelet vill ge illusionen av att vi gör våra egna val och formar spelet när det i själva verket redan har en bestämd bana och vi bara har möjligheten att leda karaktären fram till slutet. Vi tar alltså rollen av en färdig roll. Är detta ett rollspel? Vi jämför nu detta med Bethestas spel som Fallout 3 eller Skyrim. Här finns ingen karaktär med ett ansikte från början. Titta på alla posters eller själva omslaget till spelet, det finns ingen protagonist som dom själva har format. Det är här det skiljer sig från Mass Effect! Du skapar din protagonist helt själv! Han/Hon har inget namn, inget utseende, personlighet eller röst! Detta är för att du skall skapa din egen roll och forma den själv! Själva äventyret är också upp till dig att forma, du väljer helt själv hur du vill gå och vad du vill göra i vilket ordning du vill. Du kan besöka en by/stad som är fylld av människor som kan ge tillgång till ny utrustning, erfarenhet och uppdrag.. men du kan välja att strunta i detta och spränga hela staden i luften vilket gör att spelet ändras drastiskt. Det är helt upp till dig. Och dom har valt att inte ge karaktären en röst och man får heller aldrig se din karaktärs ansikte vara i fokus och hålla en dialog, och detta är för att du som spelare skall inta rollen som karaktären. Det finns även något på nätet som dyker upp på diverse forum som kallas ”Skyrim Stories” där spelarna delar med sig av sina helt unika, konstiga, roliga eller tragiska situationer från deras äventyr. Något bevisar att Skyrim är ett rollspel där du skapar ditt äventyr. Det är just därför jag väljer att i spel som Mass Effect eller Final Fantasy låter karaktärerna vara som utvecklarna valt att skapa dom. Jag lutar mig tillbaka i soffan och tittar på dom snygga och spännande scenerna som utvecklarna skapat. Och istället i spel som Fallout/Skyrim så skapar jag en unik karaktär för mig som jag helt lever mig in i och väljer mitt äventyr. My Xbox broke so i got a new one the other day, fixed with a duox2 chip and 80gig hdd. The plan is to install XBMC, Emulators etc. I have done this many times before so its nothing new. But i stumbled upon a big problem here.. no HD support! What? After checking the internet for information about this it seems that a PAL XBOX doesn’t have support for HD, that is 480p, 720p and 1080p.. this only works on an NTSC Xbox.. not PAL.. what gives? But after some researching i managed to fix this! And this is what i did. I downloaded a free utility for the Xbox called Enigmah (the file is called video_select_v2_enigmah-x.rar ) and extracted it.. inside i found an .iso cd image.. i burnt it and tryed to boot it with my Xbox.. did not work! So i simply extracted the iso, to do this you need a special Xbox untility, there are many apps for this but i used gXiso (the install file is called gXiso-1.5-setup.exe ) After i extracted the iso i used my FTP client to copy the files to my Program folder on the Xbox. Then all i did was to boot up XBMC, go to the Programs section and just select Enigmah and the utility started. Then just select 480p, 720p and 1080p so they are enabled. Now your games should have support for HD.. and of course you need the official HD component cable to get this to work. I was surprised to actually got this to work so fast! I found this guide http://www.xbmc4xbox.org/wiki/index.php?title=HOW-TO_Enable_HD_%28High-Defini… that had a lot of steps about changing the eeprom file etc. 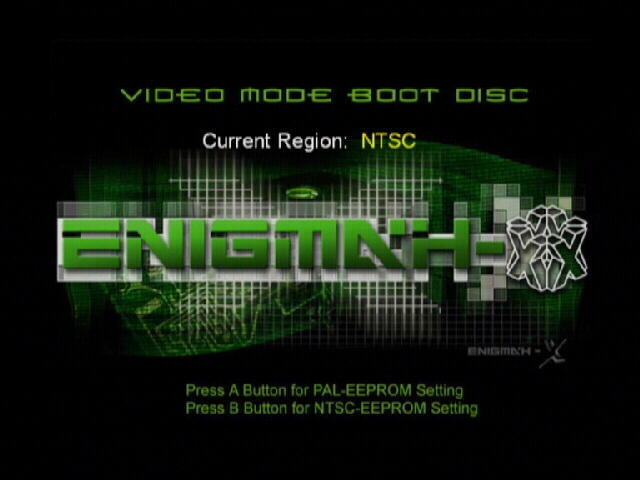 many advanced steps that scared me.. but i just ran Enigmah and changed it to PAL.. done! Maybe it was because the duox2 chip i have, or something else? Maybe i was lucky.